In the past week, David and Jason Benham have become the folk heroes du jour for the Religious Right, with everyone from Glenn Beck to Bobby Jindal declaring them martyrs to the homosexual movement’s war on religious liberty and free speech. 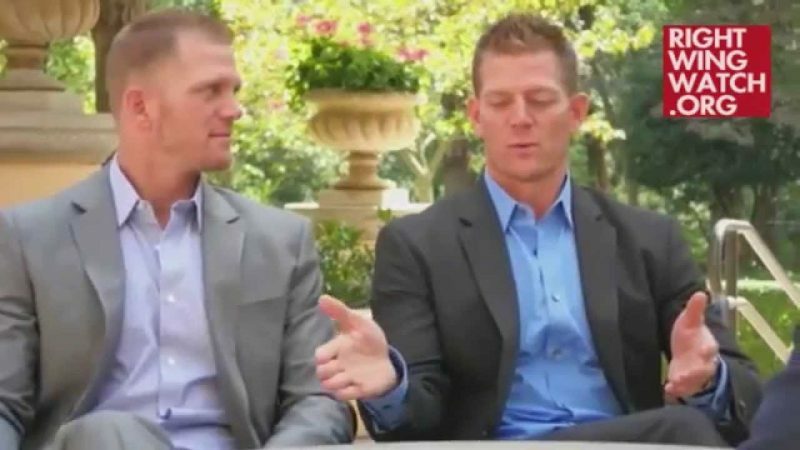 What actually happened to the Benham brothers is that the Home and Garden TV network dropped plans to feature them in a reality show after Right Wing Watch reported on the anti-gay, anti-choice, anti-Islam activism of the brothers. David particularly seems to have followed closely in the footsteps of his right-wing activist father Flip. 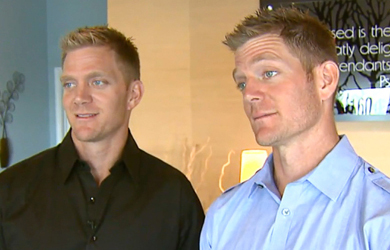 The Benham brothers have clearly decided to make the most of their 15 minutes of fame, going from one talk show to the next to decry the “lies” that were told about them – without ever identifying those “lies” – to denounce efforts to “silence” them, and to declare their “love” for gay people. The Benhams’ media push not only demonstrates the Religious Right’s persecution narrative, but also offers an opportunity to glean some insight into the worldview of Religious Right leaders and activists. With anti-gay attitudes becoming less popular across America, Religious Right activists have increasingly adopted a strategy of declaring their love for gay people as individuals while simultaneously condemning homosexuality itself and the LGBT-rights movement. That helps explain how the Benhams can say with a straight face that they love gay people and in the next breath describe the LGBT equality movement as part of a spiritual war between God and Satan. (Guess which side the gays are on.) It also explains why David and Jason keep making a big deal out of their claim that they have never attacked a gay person individually. They love gay people, they repeat, they just hate the “agenda,” which they say is to “silence” and “suppress” Christians’ message. The real “gay agenda,” of course, is to have LGBT people be treated equally by the law and to have their human dignity recognized in our culture and our communities. You cannot say you love gay people while denigrating their efforts to be treated fairly under the law as evil and “demonic.” Well, you can say it, but it won’t be very convincing. The Benhams, of course, are hardly original in this approach. Even many of the most ferociously anti-gay activists claim to love gay people. From their perspective, it is a loving thing to try to save gays from themselves and the demons supposedly controlling them. This week, the American Family Association’s wildly anti-gay Bryan Fischer hosted the Benham brothers on his radio program, where they agreed that none of them had an ounce of hatred in their hearts, but that, in Fischer’s words, “there really is a very active, aggressive, vitriolic, hate-filled homosexual lobby out there.” The Benhams and their new fans should not be surprised that most LGBT people do not see it as a loving act to try to prevent them from being who they are, living openly without fear, or having the freedom to follow their dreams and find love. The Religious Right insists that describing the LGBT equality movement – the “homosexual agenda” – as evil, demonic and un-American, has nothing to do with how they feel about gay people, and that it is terribly, horribly, awfully unfair to refer to them as haters or bigots. 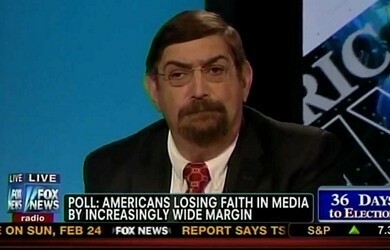 That’s hard enough to take seriously given the intensely anti-gay rhetoric and record of many Religious Right leaders. But the absurdity is multiplied given that they routinely portray criticism of any particular conservative Christian activist as an attack on all Christians, Christianity itself, and religious freedom. How is it that the Benhams can denounce the gay rights movement as Satanic while insisting that they have no hostility toward individual gay people, but that Right Wing Watch can be portrayed as “anti-Christian” simply for documenting specific statements that right-wing political activists have made as part of their public advocacy? While Religious Right leaders are quick to equate criticism as an attack on their freedom of speech and religion, some of them are all too happy to limit the free speech or religious liberty of the people they disagree with. That includes the Benham brothers. They have a right to apply for this permit, but you have a right and responsibility to deny it. I [implore] you not to be governed by the fear in which you feel. If you deny them this permit you will open a can of worms but you in your leadership position have to take that responsibility and you have to not allow the fear of making this homosexual community mad. You have to accept that responsibility and deny them every permit that they ask for. Some Benham fans, like the American Family Association’s Bryan Fischer, say flat-out that the First Amendment’s religious liberty protections were only meant for Christians and don’t apply to Muslims, Mormons or other minority faiths. Back when many self-proclaimed “religious liberty” advocates were opposing efforts by Muslims in New York to build a community center – which critics gave the inaccurate and inflammatory name of “Ground Zero Mosque” – David Benham and his father Flip were among them. According to the Anti-Defamation League, David participated in protests against the Center, calling it a “den of iniquity” and labeling Muslims “the enemy” that was attacking America. 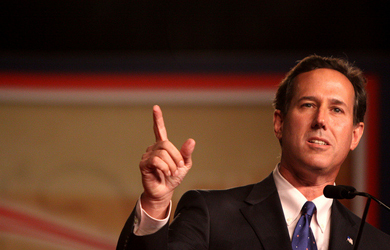 In these public debates, “Christian” as used by Religious Right leaders often doesn’t really apply to all Christians, but only to a subset of Christians who share their right-wing politics. Other Christians don’t count. The Family Research Council’s Tony Perkins, who has bemoaned “cultural elites” who want to “silence” and “bully” people like the Benhams, recently said that pro-gay-equality Christians don’t deserve the same legal protections as he does because “true religious freedom” applies only to those with religious views that align with those of the political Right.